(Savannah, Georgia – March 18, 2019) – Great Dane will be showcasing several new trailer innovations and value-added services at the 2019 Technology and Maintenance Council (TMC) Annual Meeting and Transportation Technology Exhibition. The event is being held at the Georgia World Congress Center in Atlanta, Georgia, from March 18-20. 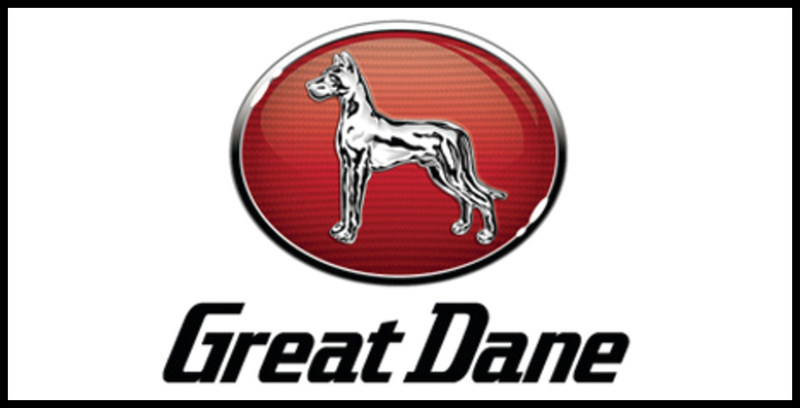 Great Dane’s display at Booth #440 will introduce its new “Great Doesn’t Stop” campaign, which highlights the company’s commitment to delivering premium value in its products, aftermarket services, and overall customer experience. A 53’ Champion Sheet-and-Post dry van designed exclusively for Walmart and featuring a JOST KKS automatic coupling system. Another achievement in the move toward automation and creating safer, easier-to-use technologies for drivers, this system enables fifth-wheel coupling with remote control and display as well as electrically-powered landing gear with auto deploy and retract systems. The advanced technology of the JOST system helps to improve accuracy and lessen the chance for injury during the coupling process. A 28’ Champion Sheet-and-Post dry freight pup trailer customized exclusively for Estes Express Lines and featuring several options designed to maximize interior capacity. The trailer includes a Double Dex decking system, which uses captive beams with a recessed track to create a second deck for additional cargo. It also features a 5-inch wedge and galvanized steel side panels with vertical ‘A’ slots the full-length of the trailer to provide for extremely flexible load securement. The addition of these features helps to improve load average and increase revenue per mile. A 53’ Everest Single-Temp reefer designed exclusively for Erb Group and featuring several solutions for advanced thermal efficiency, including Great Dane’s exclusive ThermoGuard interior lining that is standard with Microban antimicrobial protection on the sidewalls, front wall, ceiling and rear doors to help promote a clean environment for temperature-sensitive deliveries. This trailer also showcases Great Dane’s high-performance floor design, which protects cargo from underneath and helps ensure proper temperatures. The 1.25-inch aluminum extreme-duty smooth duct flooring is supported by composite sills and organically-coated sill screws to eliminate deterioration and corrosion concerns from moisture intrusion. An impact-resistant ThermoGuard subfloor completes the dynamic floor system, providing enhanced thermal efficiency, durability, and an extremely well-protected floor. A Sahara C-Series dry freight truck body built exclusively for Southeastern Freight Lines and featuring several innovative cargo loading solutions. The truck body includes a Double Dex captive beam system, a Maxon GPT-4 galvanized rear Tuk-A-Way liftgate, and Grote interior motion sensor dome lamps. These features allow for safer cargo loading and greater interior storage capacity. Finally, Great Dane’s booth will highlight the many benefits of its AdvantEDGE Aftermarket Parts and Service Program as well as its Used Trailer Program. Randy Gosson, Great Dane’s director of National Accounts for AdvantEDGE, will be leading in-booth workshops explaining how the AdvantEDGE Program works, the value it provides, and helping visitors enroll. Great Dane’s Director of Used Trailer Sales Jeff Weber will also be in the booth to discuss how Great Dane’s Used Trailer Program can help customers quickly and easily expand or reduce their fleets.